October 2012 is a big anniversary month. 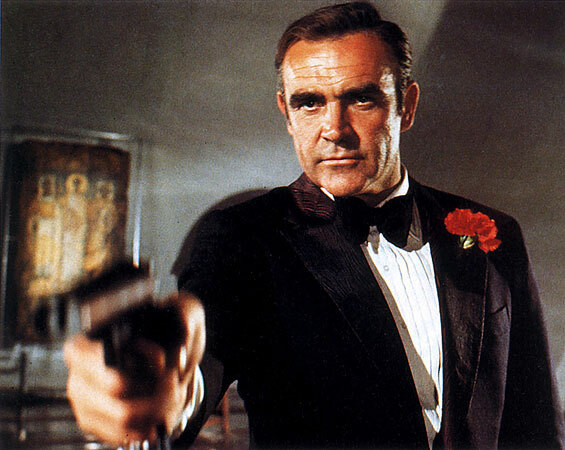 The first James Bond movie, Dr. No, premiered in London (UK) on the fifth of October, 1962. The Vatican denounced the film for its poor ethical content. Ian Fleming, author of the James Bond books, had wanted the young Roger Moore to play Bond, but the producers vetoed the idea. The very day that the film was released in the UK, a new four-piece combo of young men in need of a haircut released a single in the UK with “Love Me Do” on the A-side and “Please please me” on the B-side. 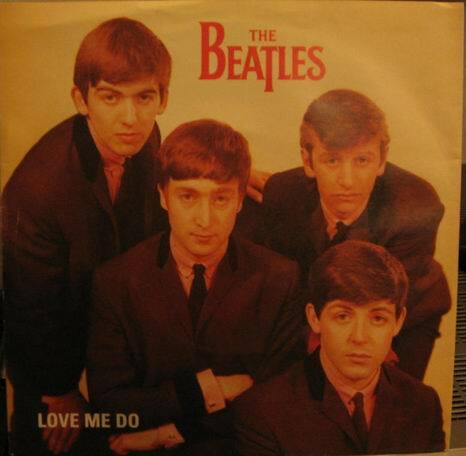 “Love Me Do” peaked at 17 on the UK charts, but two years later made it to Number One in the US. In honor of the anniversary, there is a great video interview with George Martin, the Beatles’ producer, on the BBC News website. So that’s the two fifties. The “one” – and the excuse for this post – is the first year of Telling Knots. I didn’t have the foresight to start the blog on the fifth of October; the first post was on the twenty-ninth and my idea was to throw something up on the blog quickly before I changed my mind. That post has had a grand total of sixteen views to date – about fifteen more than I thought it would get. I want to thank you all for reading my blog, commenting, tweeting the links, “liking” the posts, sending me email. I’ve made some wonderful new friends, and have discovered new dimensions to long-time friendships. I’ve started exploring the fuzzy territory between TMI (“too much information”) and the amount of self-revelation that makes something worth reading. I’ve made some mistakes, but I don’t think I’ve alienated anyone. I have not received one single trollish comment (does that mean I’m not trying hard enough? ), but I’ve had many, many friendly and encouraging responses. So October is anniversary month here at Telling Knots. I’ll be revisiting some old themes and will probably repost some of my early favorite posts. Because if you can’t be self-indulgent on your own blog, I don’t know where you can! For some reason, I’m really looking forward to my birthday this year. It’s happening within the next week, but for the sake of anonymity I’ll not say which day or how old I’ll be. Let’s just say I’m more than old enough to drink and still a little too young to collect an old-age pension. Getting ready for the big day, I actually played this in a loop for my morning exercises. Enjoy!